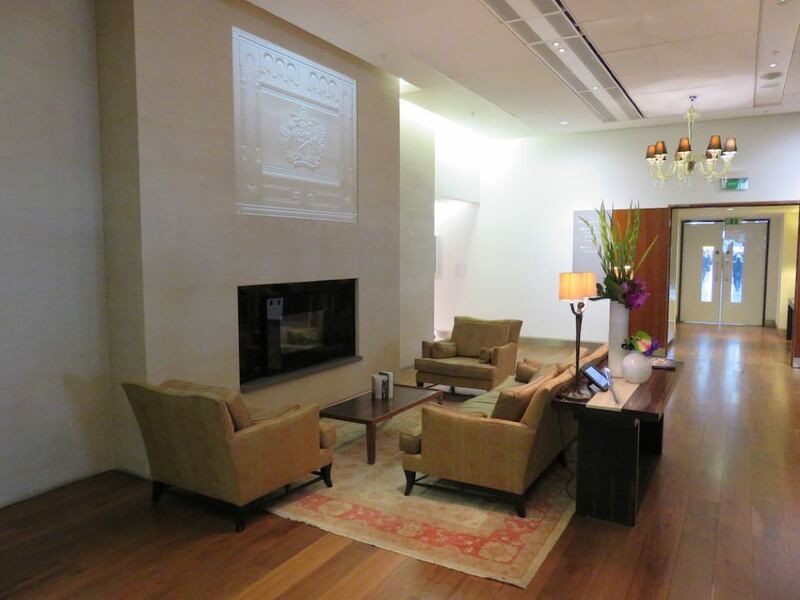 British Airways has four Club Lounges in London Heathrow Terminal 5. 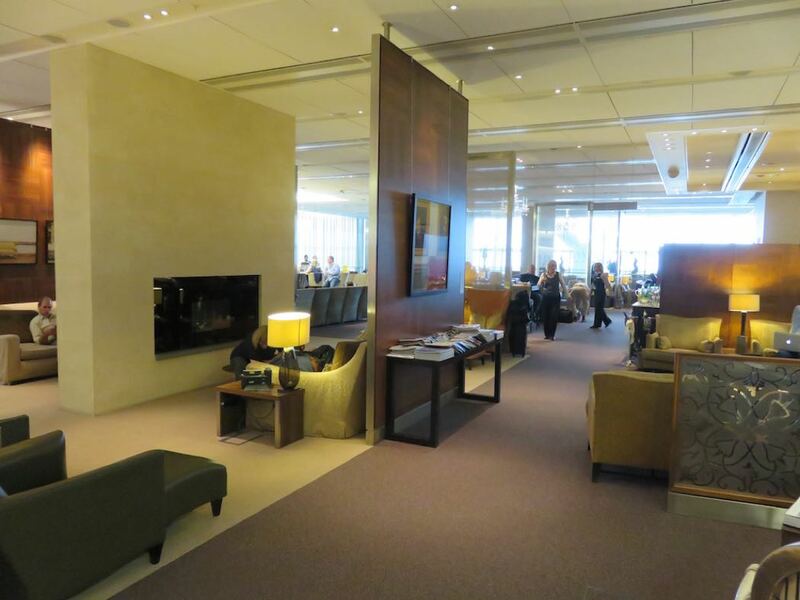 The most accessible are the Galleries Club South and Galleries Club North lounges, open to First or Club class passengers (including Club Europe) and Gold or Silver members of BA’s Executive Club. 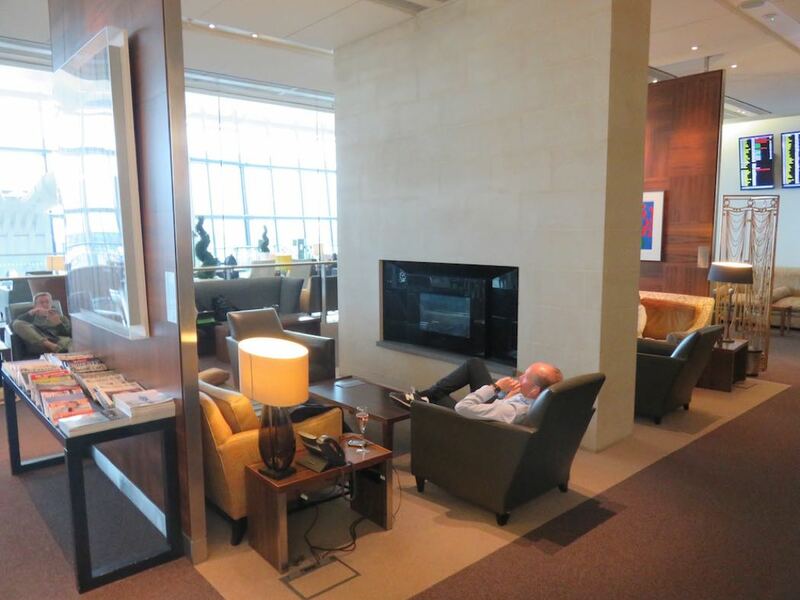 Next step up is the Galleries First lounge, for First class passengers and Gold Executive Club members. 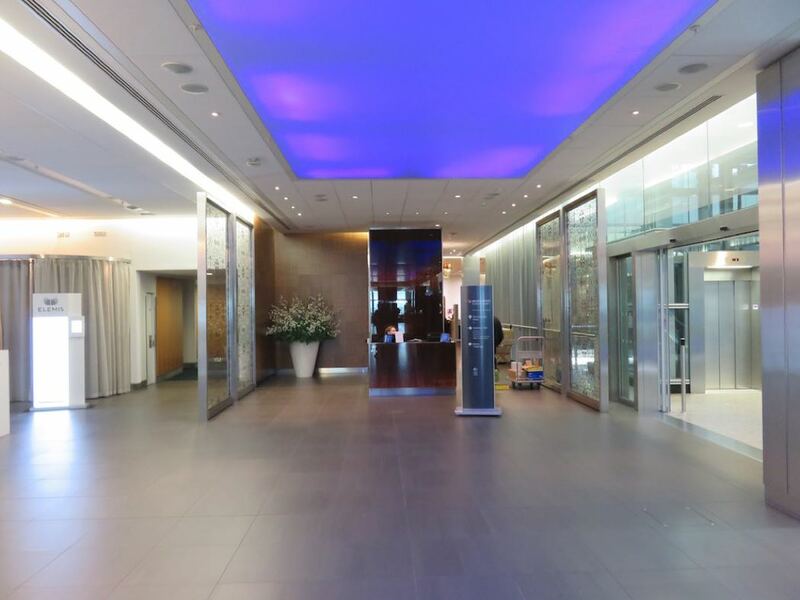 The Concorde room is the epitome of elegance and the pinnacle of Club Lounges at Heathrow Terminal 5 and also New York’s JFK and is only open to passengers holding a First Class flight ticket or who hold a Concorde Room card, given out for earning 5,000 tier points in a year. 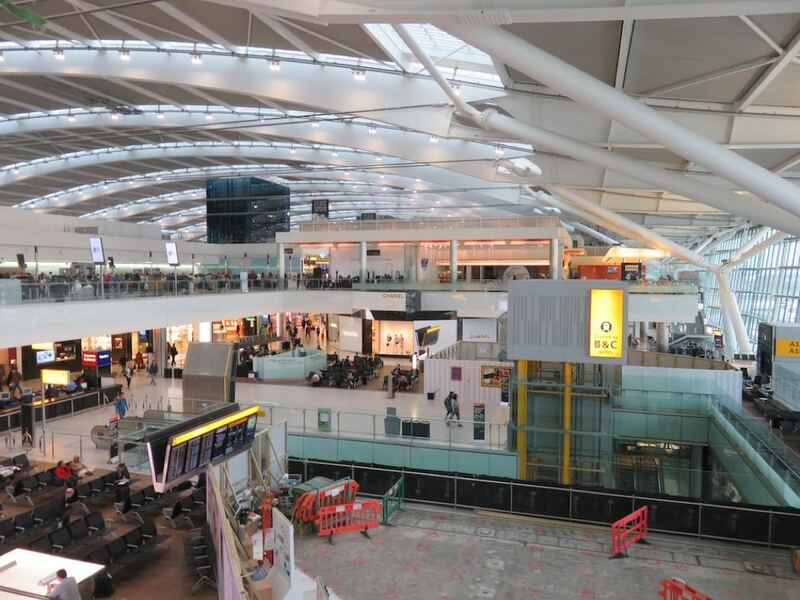 The Concorde was named after the iconic aircraft that was based in Terminal 4. The Concorde Room back then was the dedicated departure lounge for that service and the only BA lounge which allowed you to board the plane directly from the lounge. 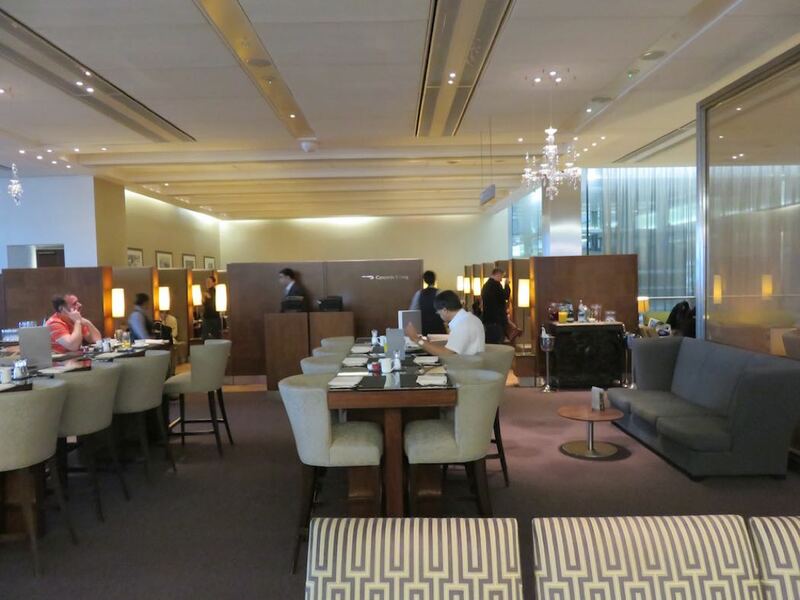 At Heathrow today, as far as I know, you can only board directly from the Emirates Lounge in Heathrow Terminal 3. 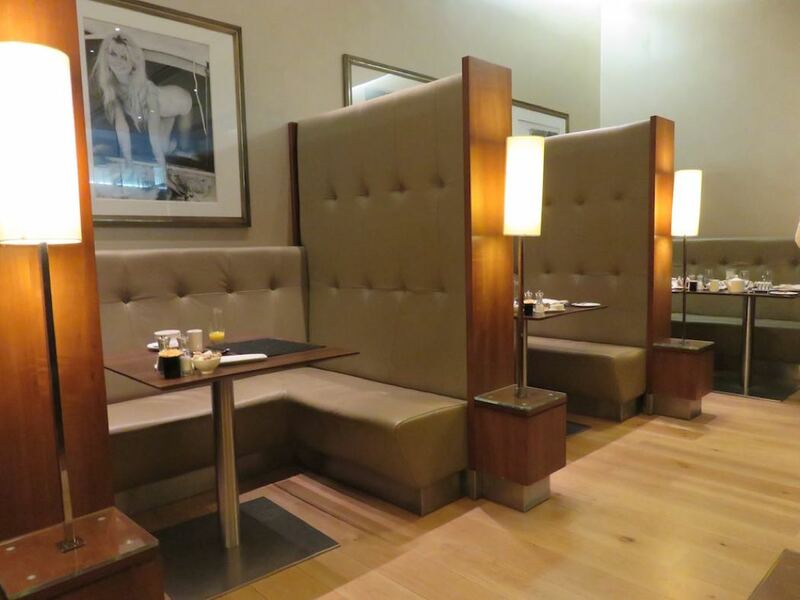 UPDATE: You can also find a more recent review of the Concorde Room including further thoughts on the offering and thoughts on whether the Concorde Room or Galleries First Lounge is the best Airport Lounge in Terminal 5. 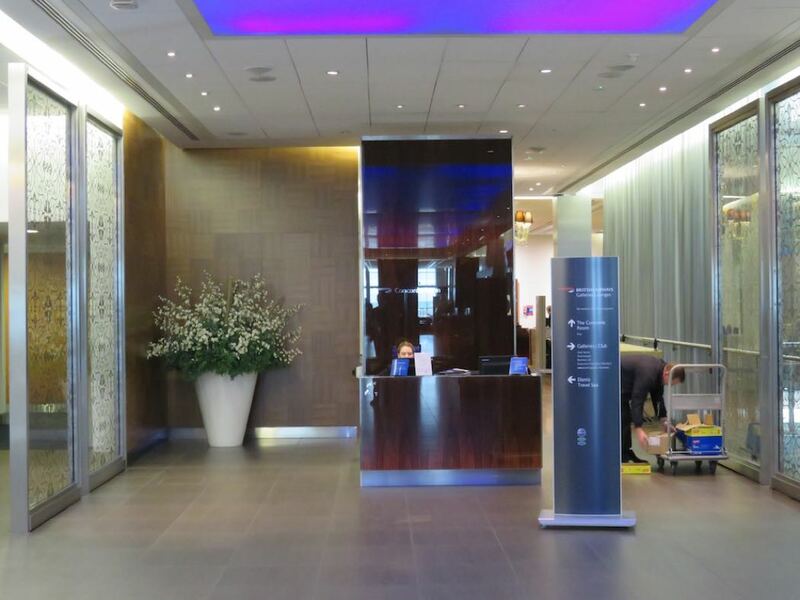 You enter the Concorde Room through the white door which is found immediately after passing through South Security in Terminal 5. 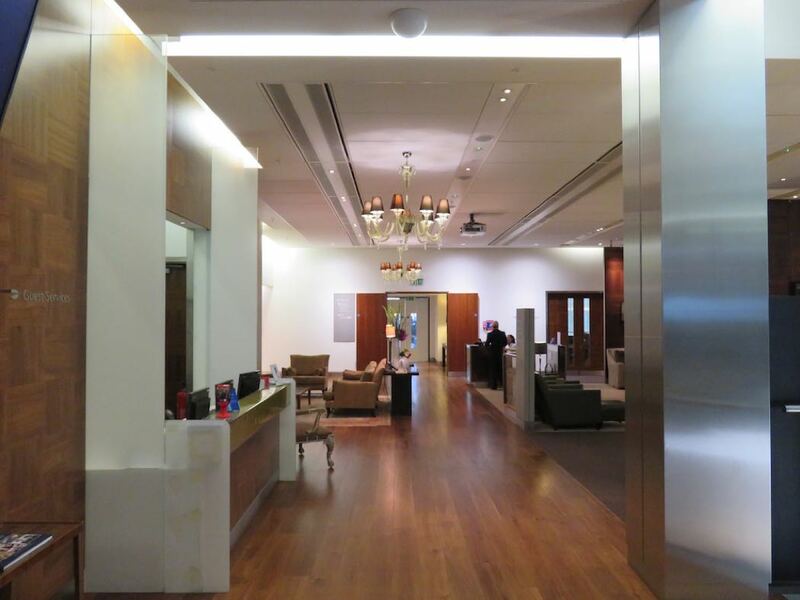 As with the Galleries Club Lounge, there is no need to take the escalators down into the shopping area and then back up again. 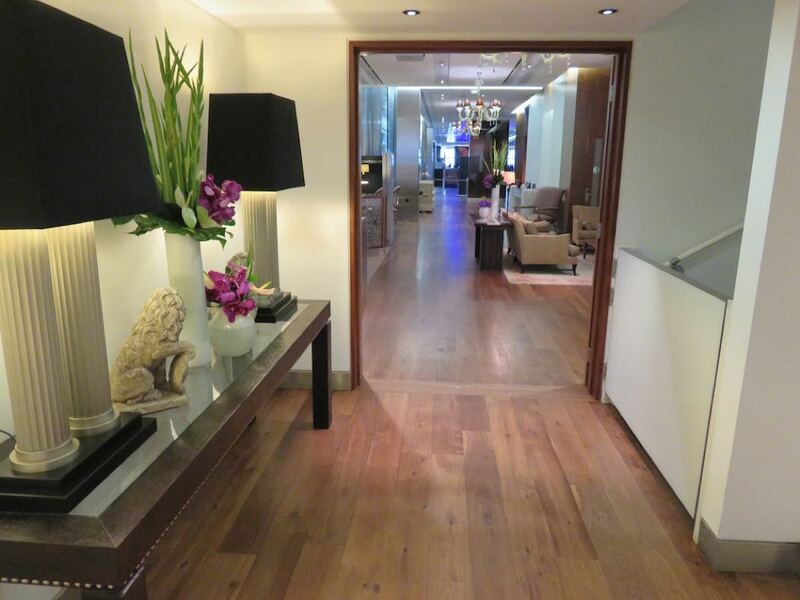 Supposedly inspired by the finest 5 star boutique hotels, this calm and inviting space houses luxurious furniture imported from Italy, beautiful chandeliers and artwork which creates a unique and stylish lounge. 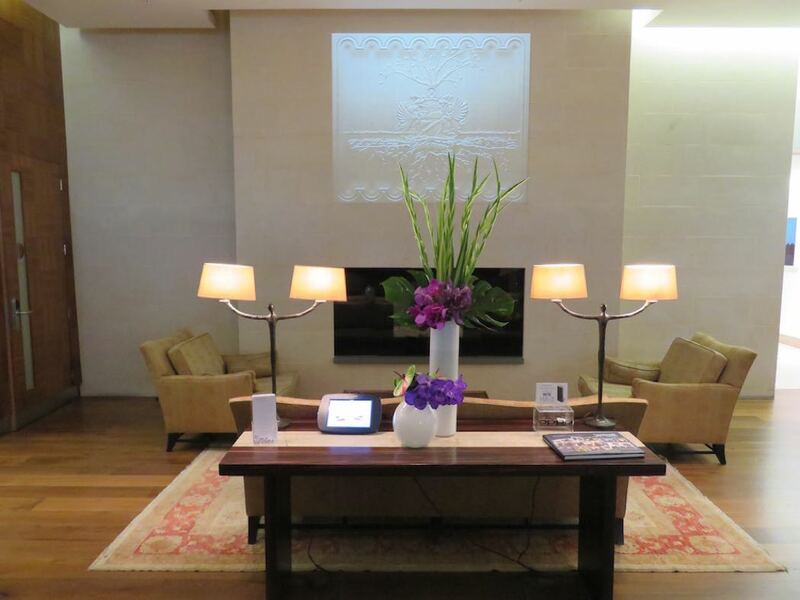 Certainly the looks live up to the billing and it is a much quieter space than the hectic Galleries Club Lounge. 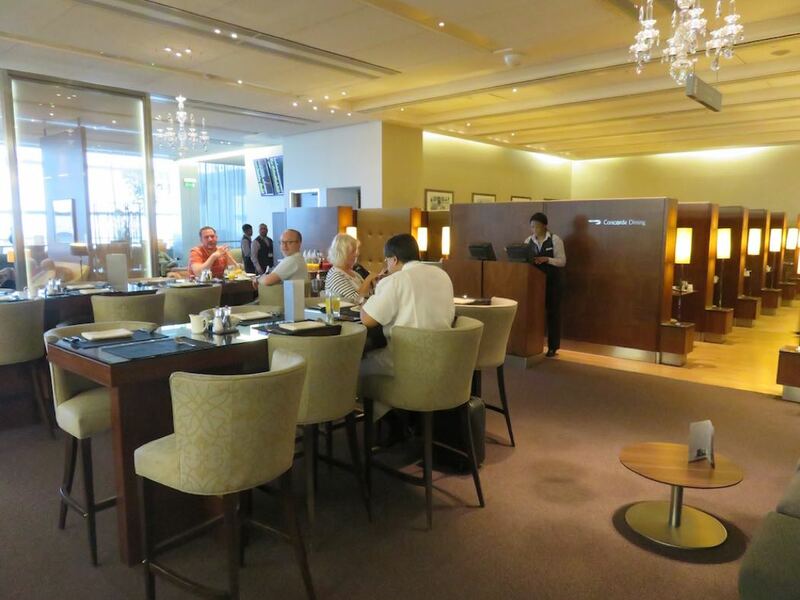 The Concorde Room is however a little lacking in natural daylight – although some does come in from the large terrace which has views across the airport. The luxurious dark decor only makes the lack of light more noticeable. 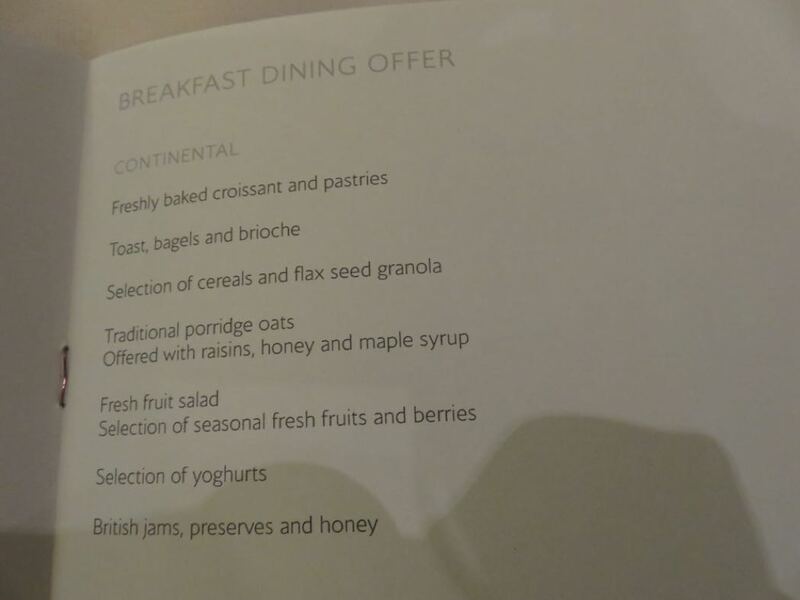 The quality of the food, is not noticeably better than what is served in Galleries First (although significantly better than the Galleries buffet) presumably they use the same kitchen. 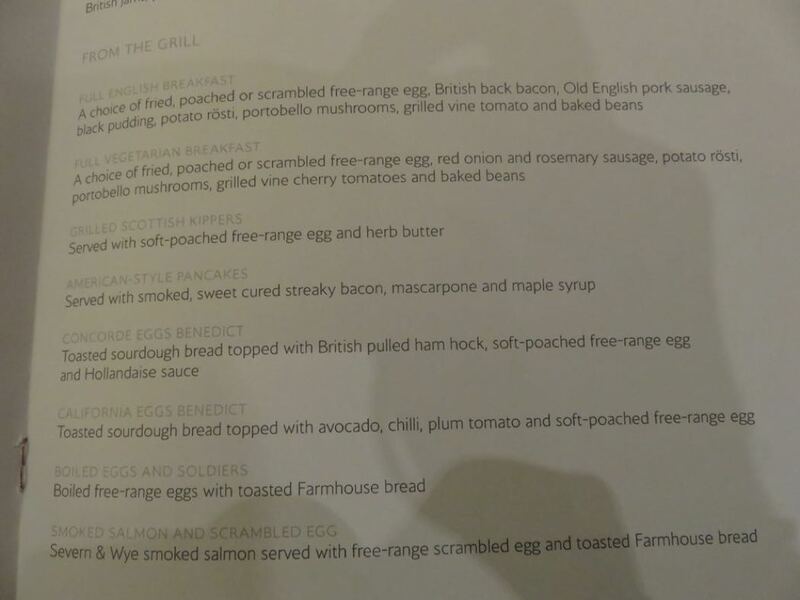 Breakfast , which is served until 11am is not gourmet but there is a solid selection of hot breakfasts; eggs any which way you fancy, full english, boiled egg and soldiers, kipper and poached egg, smoked salmon and scrambled eggs, eggs benedict, eggs royale, omelette as well as pastries, cereals, fruit and juice. From midday until close there is an afternoon-evening menu which includes Soup of the Day and then a varying menu along the lines of duck salad, sea bass (which I can recommend I had the sea bass for lunch which was perfectly cooked and not overdone), ribeye steak and then permanent offerings of BA Burger, Club Sandwich with desserts like Treacle Tart and cheeses. Private cabanas which can be reserved in advance are probably the highlight of this lounge and the most unique offering. 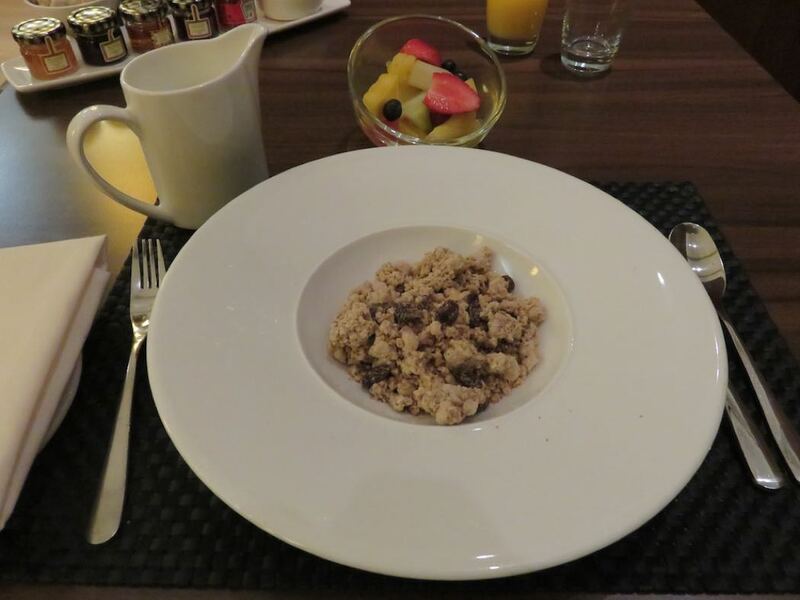 Like the description, they are private, like a mini hotel room, with a comfortable day bed and an en-suite. These can be reserved in advance. 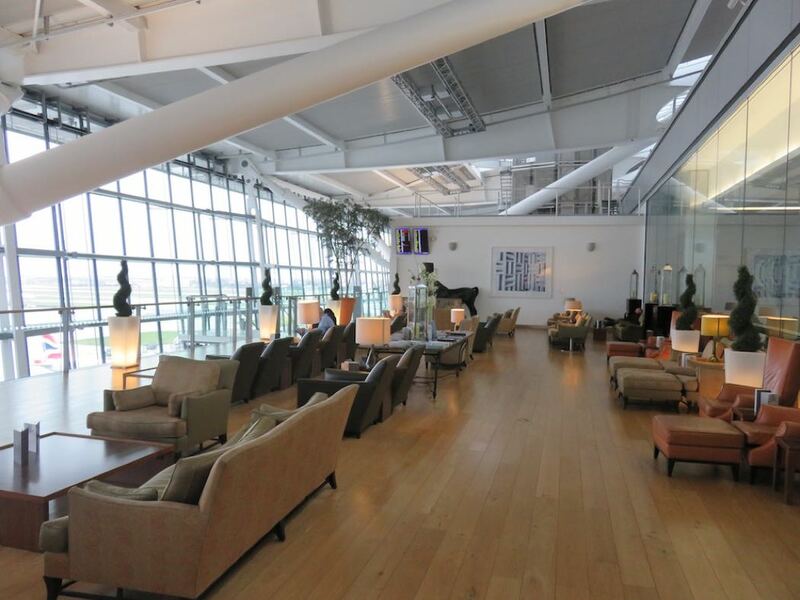 BA staff here are warm and polite, no complaints although perhaps not as fun as those in the Virgin Clubhouse Lounges. 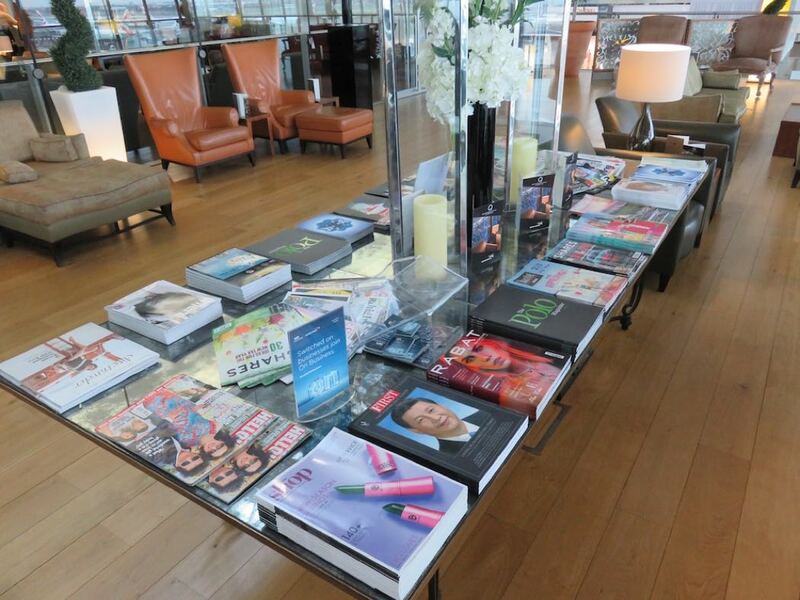 If you are holding a First Class reservation you can now book 15 minute complementary Elemis Spa treatments in advance which means that Club World passengers in Galleries First have even less of a chance of snagging one of these treatments. So is it worth the expense of a First Class ticket? In a word, No. The Galleries First is almost as good and you can get access to this with a Business Class ticket (plus the food appears to be very similar). 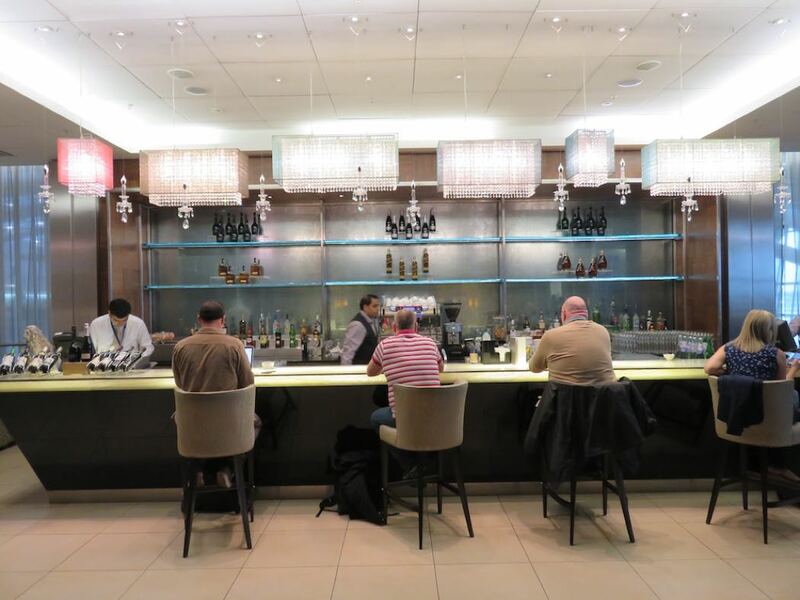 But if you are fortunate enough to gain access to The Concorde lounge, or can expense your First Class ticket, it is certainly a delightful lounge to spend a few hours and it does edge above the Galleries First Lounge – but only slightly. 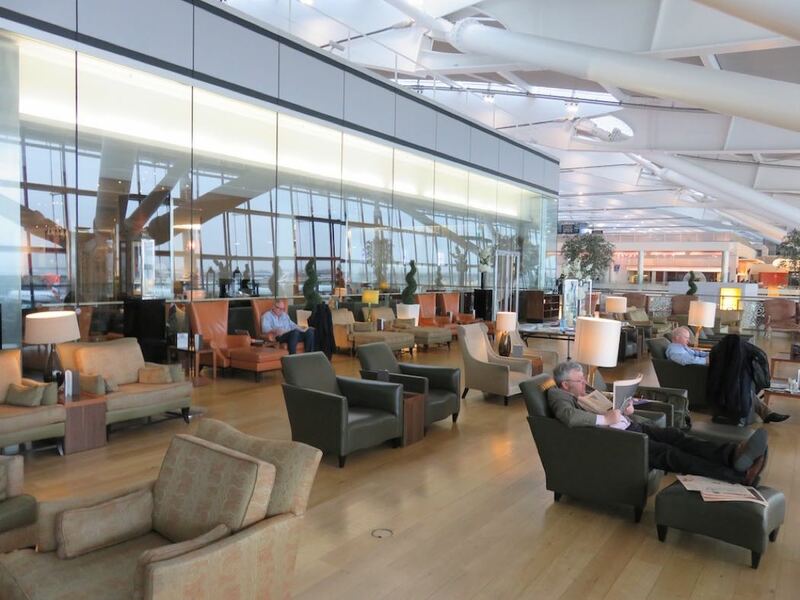 You can see my review of the new British Airways Airbus A380 Club World Service and my review of First Class On The British Airways Dreamliner B787-9.